Since 2007, Dandenong High School and Sakuyakonohana High School have alternated visits between the school every year. Similar to Dandenong High School, Sakuyakonohana High School was previously two school that merged to create one larger school. It is a common belief between the two schools that shared experiences both inside and outside the classroom are important in helping to foster a positive relationship between the two vastly different culture. Sakuyakonohana’s most recent visit to Dandenong occurred in July 2015. The staff and students from Sakuyakonohana High School experienced an exciting week, attending classes and special workshops at Dandenong High School, including Aboriginal dot painiting, dance, music, AFL skills and cooking (Anzac biscuits). 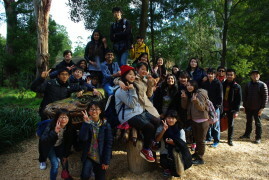 During the week there were also a number of excursions and the Japanese delegation was able to attend an AFL game (Melbourne vs Brisbane) at the MCG, visited Healesville Sanctuary to see Australia’s native fauna and went exploring in the city and at Queen Victoria market. 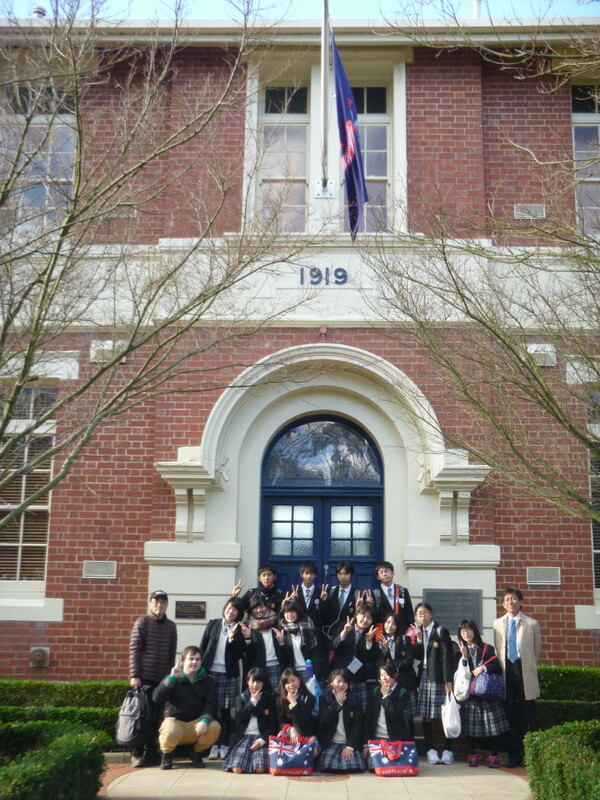 The Japanese students were eager to interact with the students and staff of Dandenong High School, sharing their knowledge of Japan and learning about the Dandenong High School High School culture. This most recent visit has further developed the relationships between the two schools. This important relationship will be further strengthened and developed in 2016, when students and staff from Dandenong High School reciprocate the visit by visiting Sakuyakonohana High School in Osaka, Japan.